That all riders wear an approved ASTM equestrian helmet while riding. That all lessons are offered in riding areas and trails suited for these activities (e.g. manicured trails and riding arenas). That all riders are capable and exhibit adequate motor skills and mature judgment to recognize potential hazards. 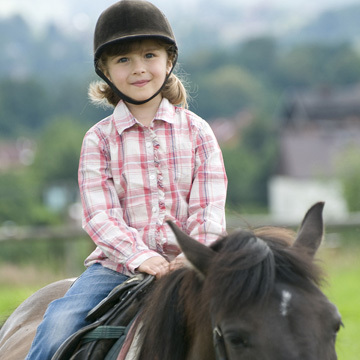 That all riders receive proper training in riding style and horse safety. That all riders have an understanding of horse behavior. That the saddle and tack fits the rider and the horse. To avoid cutting into your riding time at your first lesson, please feel free to print off the Registration Form and Riding Waiver below and bring a completed copy with you to your first lesson. Do you need an indoor arena to ride in during poor weather? Or maybe you just need a change of scenery? Open arena allows you to bring your personal horse to Ellis to ride in either of our indoor or outdoor arenas. Open Arena is offered by APPOINTMENT ONLY. Please be prepared to present a current Coggins for each horse that you bring! Please feel free to print off and complete the documents below prior to your arrival. Have them readily available, along with your Coggins and payment upon checking in BEFORE your horse enters our arenas! $10 for a single day pass or $40 for an annual pass. Ellis House and Equestrian Center also has trails open to the public! Trailer your horse in to use our lime stone trails. Open Sunrise to Sunset. Please keep in mind that these trails are shared by bikers, walkers, and runners. No Appointment Necessary to use our trails, Free of charge! Ellis House and Equestrian Center accepts cash, checks made payable to "Kendall County Forest Preserve District"; as well as Visa, Master card and Discover. Riding lessons are offered 7 days a week by appointment only. Please contact Nicole Norton, Equestrian Program Coordinator, for availability and rates at nnorton@co.kendall.il.us, or call 630-918-0364.